The capital and largest city in Argentina is located on the estuary of the Río de la Plata. According to Mercer's 2012 study, Buenos Aires ranked as having the third best quality of life of all Latin American cities. 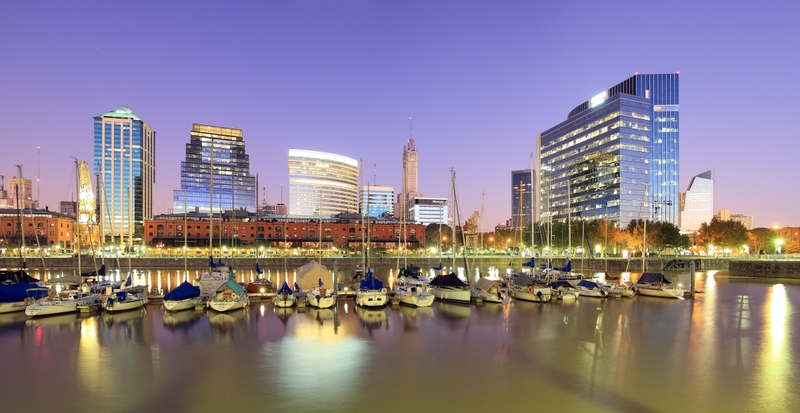 With almost three million residents, Buenos Aires is popular with expatriates perhaps due to its subtropical climate meaning it has humid sunny summers and mild winters. The porteños(people of the port and Buenos Aires’s residents) are as vibrant as the street art that emblazons the walls of many residential wards surrounding the city centre. Buenos Aires attracts tourists, students and workers from all over the globe because of its phenomenal architecture and the abundant cultural lifestyle it offers. If you’re not interested in building your tango skills, you could always venture to one of Buenos Aires many theatres or perhaps enjoy the annual Buenos Aires International Festival of Independent Cinema. The city is renowned for its international influence on fashion, particularly of that in Latin America, and its Fashion Week draws international designers to its twice yearly shows. Many of Argentina's best universities can be found in its capital. The University of Buenos Aires is not only one of the best institutions in South America, but also has produced five Nobel Prize winners and provides various scholarships for national as well as international students. Buenos Aires has impressive nightlife with hundreds of bars and clubs; you could go somewhere new every night for a year and still not have to go back to any! In the capital of the country of the tango, if you don't find passion in the dancing, you'll be bound to find something here that instils desire and awe.